Giant Electrical has been servicing the Newcastle & Hunter Valley since being founded in 2002. Initially carrying out general domestic and commercial contracting. Giant Electrical began a transformation in 2009 with training in the Electrical Infrastructure sector to re formed its target market and how it was doing business. Soon After, Giant Electrical Pty Ltd became Accredited and Authorised within the Ausgrid & Essential Energy Supply Authority Network in all aspects of Level 2 Contestable Works, with an “A” Class Rating. After securing a strong name in the industry as a quality Level 2 Service provider the obvious progression was to become accredited as a Level 1 Service provider. Now being Authorised within the Ausgrid Supply Authority Network for both Overhead and Underground aspects of Level 1 Contestable work, Giant Electrical Pty Ltd can conduct high and low voltage power line construction. During this time Giant Electrical Pty Ltd has constantly & consistently invested in equipment, product and people to maintain a high quality & standard of service to its customers to ensure projects are delivered on time and safely. At Giant Electrical, Safety is our top priority & one of our top values. 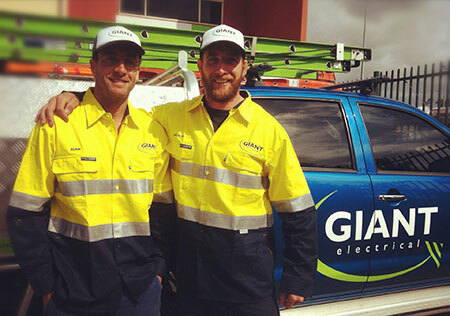 Today, Giant Electrical Pty Ltd is locally owned & operated by business partners, Lachlan Chapman & Adam McDonald. They are backed by a team of exceptional, motivated and dedicated staff members and Sub contractors. When considering who to use on your next project consider, Giant Electrical, For All your Level 1 & 2 Service Needs.